Dramatic and unforgettable. Intricate beadwork forms tiers, links, loops, and flowers. 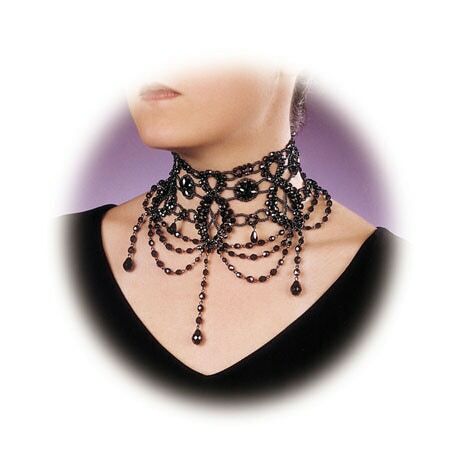 Wrapping around the neck like a lace collar, it's a definite statement piece. About 6" wide. 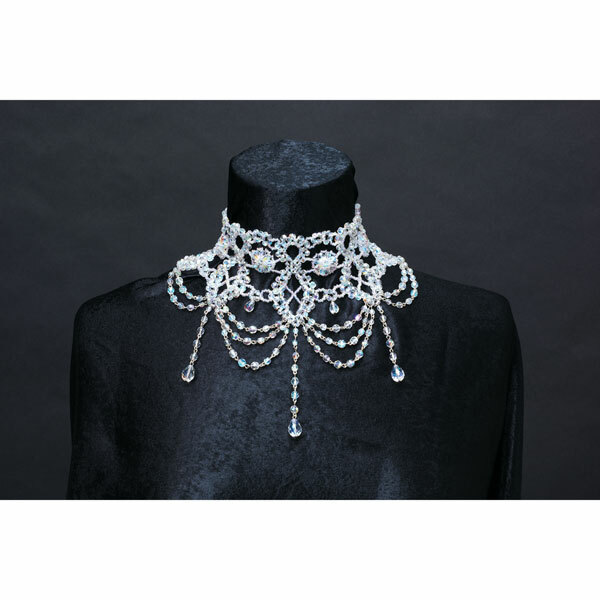 Adjustable from 13" to 15" and secures with a pair of lobsterclaw clasps. 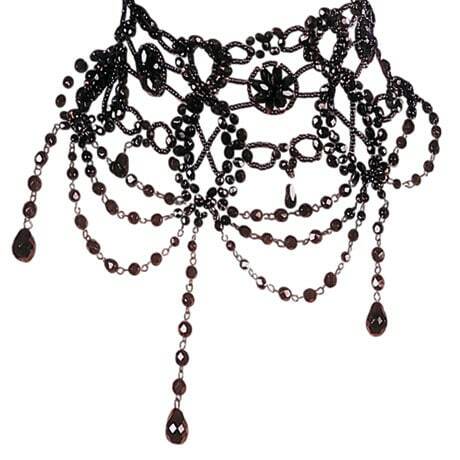 Specify Black or Crystal.